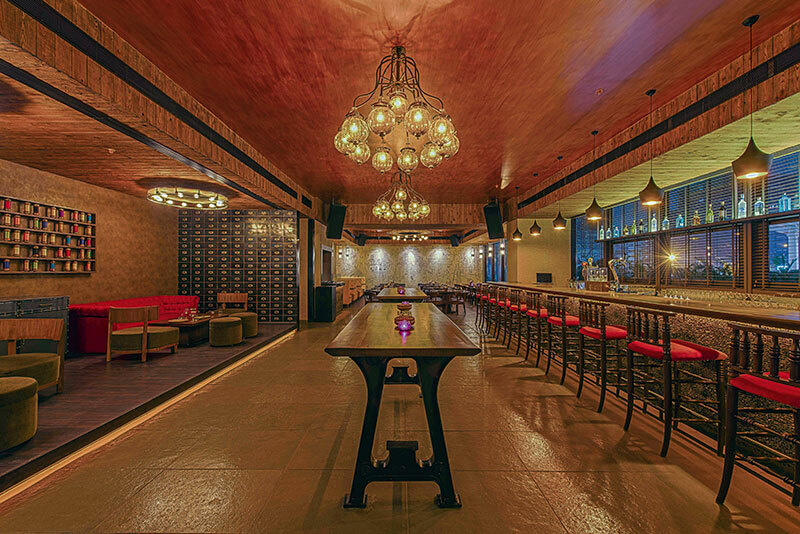 The Good Wife, located on the ground floor of The Capital building in the Bandra-Kurla Complex, Mumbai, promises to be the new watering hole for party animals. Already, the place is packed even on a Wednesday. The brainchild of the Tham brothers – Ryan and Keenan – this is a great place to catch up with friends, colleagues or clients over a few drinks and great food. Wooden panelling and chandeliers impart a comfortable, buzzy feel. The bar has convenient hooks below the counter to hang handbags. The sofa seating is relaxing. The lighting and music are conducive to a chilled night out. An eye-catching sketched mural of the evolution of man has been tweaked to depict the Neanderthal evolving finally to hang by a gramophone, nursing his drink. In another cameo, Spiderman, Batman and Phantom are seated at a table enjoying a game of cards. 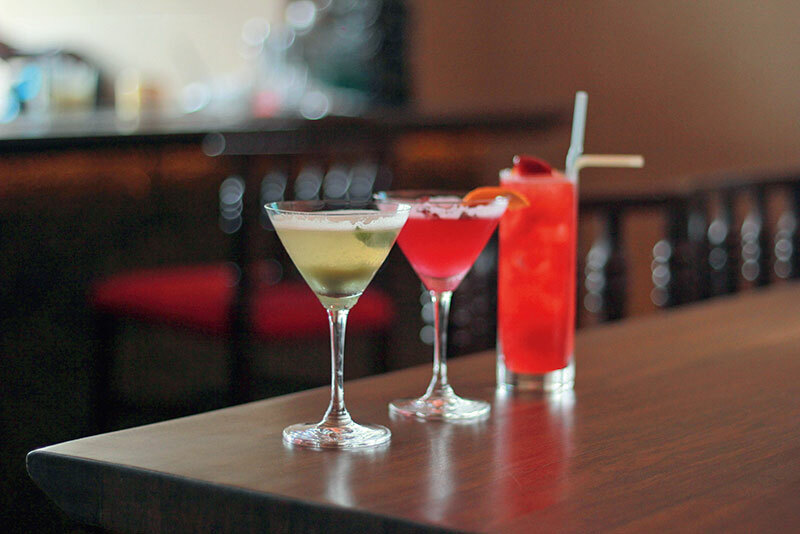 The drinks are the brainchild of Dimitri Lezinska, who has served as co-host of Discovery Channel’s series Cocktail Kings. A conventional caprioska or mango sangria are a great way to start the evening. The menu, brainchild of Chef Pankaj Bhingarde, offers finger foods like grilled chipotle chicken tostadas, jerk spiced chicken wings, soy ginger prawns and pulled pork sliders. Main courses include a classic roast chicken with herb roast potatoes and baby carrots; grilled king prawns with saffron fennel risotto and grilled asparagus; anise rubbed rawas with braised greens, roasted leek puree and green peppercorn vinaigrette. What we liked: Mango sangria, bloody married. Baby lamb sliders, pepper crusted tenderloin, mustard mash potato, grilled asparagus. Décor: A warm ambience and a sense of plush cosiness characterise the interiors. Memorable finale: Desserts! The chocolate fondant and the vanilla pannacotta are outstanding.